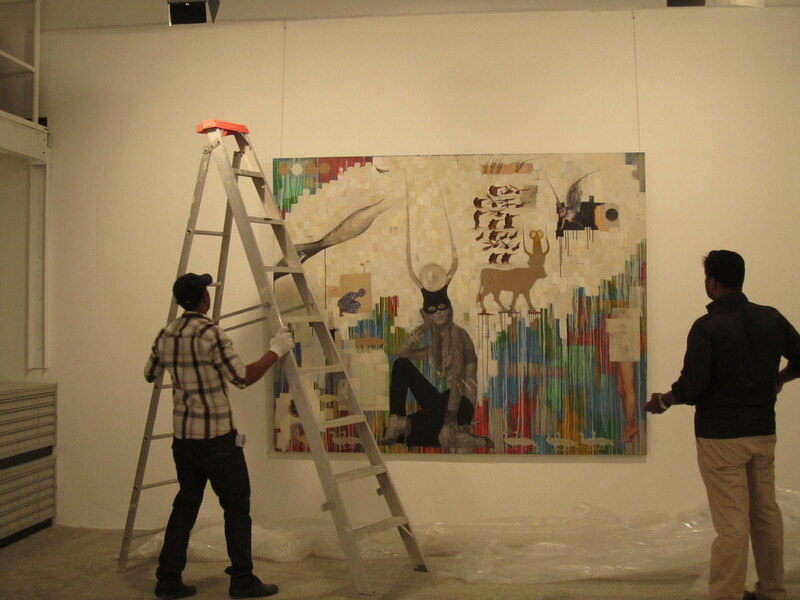 The opening of “Moving Forward By The Day”on 17 March at Meem Gallery in Dubai. 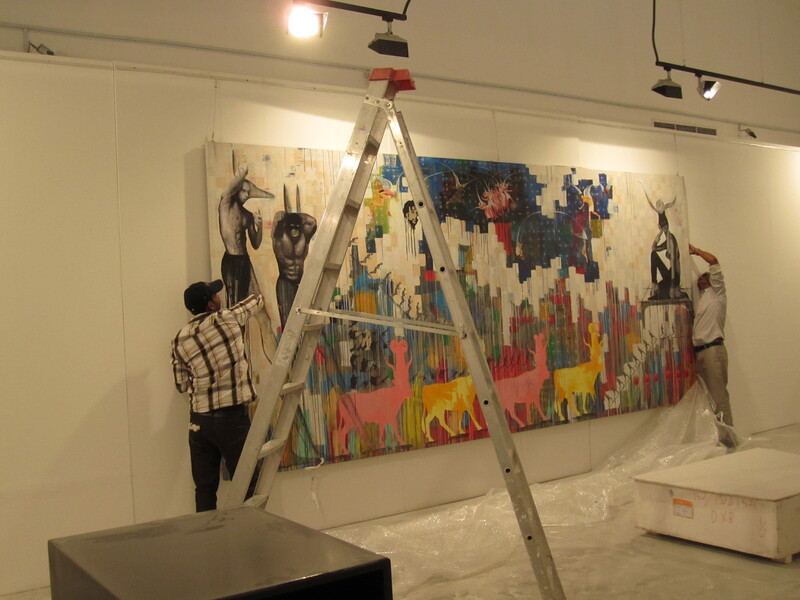 Behind the scenes at Meem Gallery in Dubai where my new series Moving Forward By The Day goes on show tomorrow night! 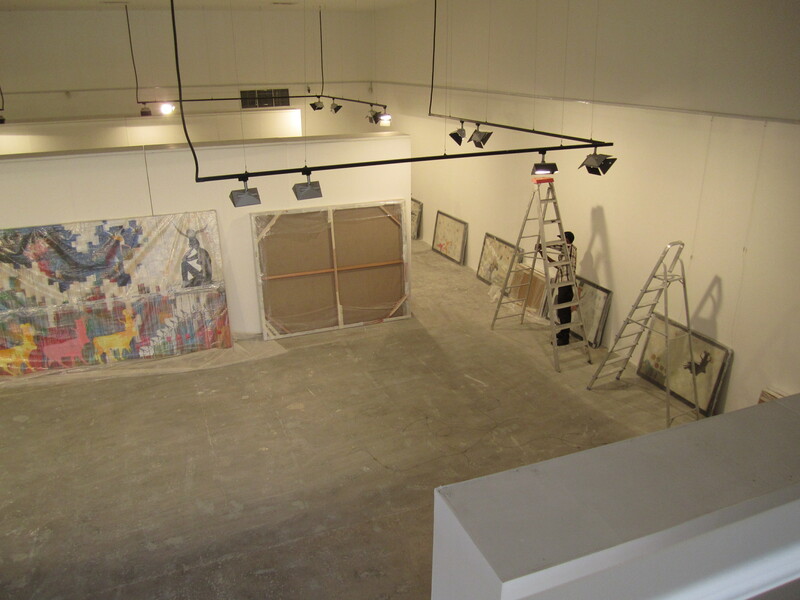 Q: What would you describe as Meem Gallery’s special area of focus? 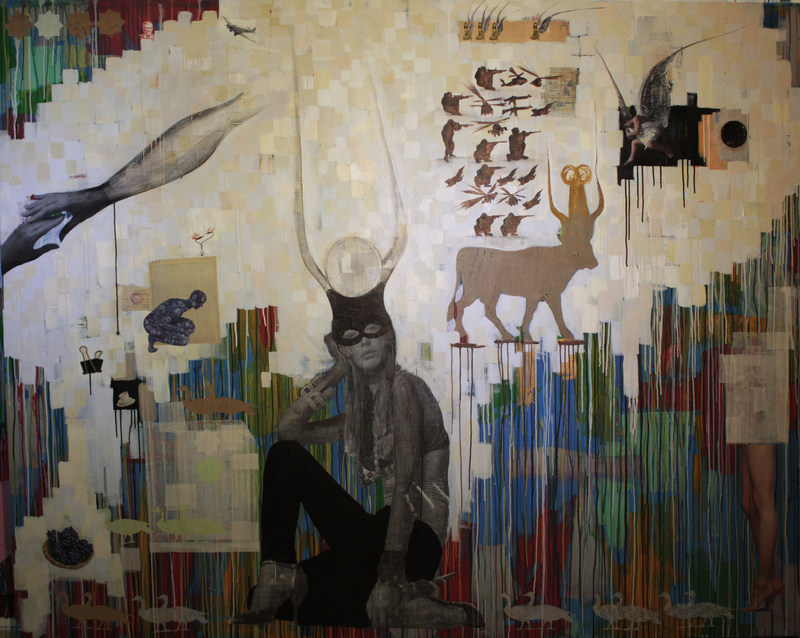 CP: Meem Gallery specialises in the work of modern and contemporary Middle Eastern masters. 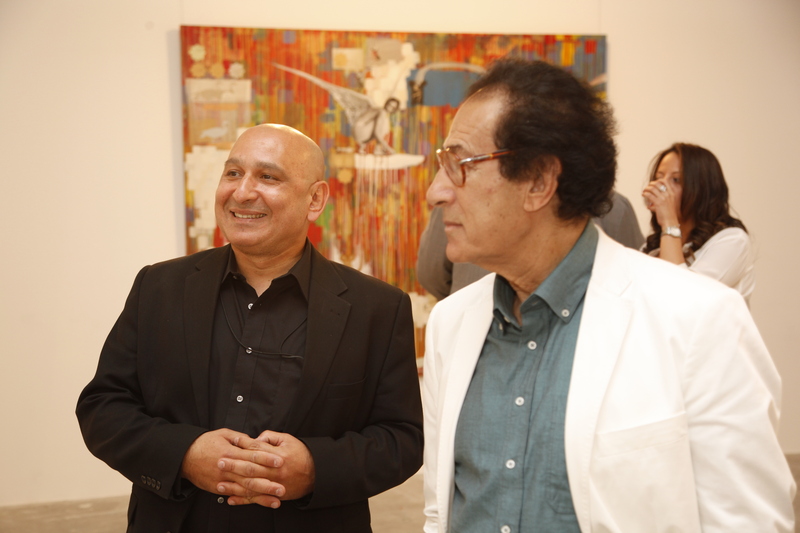 We have exhibited the work of artists such as Jewad Selim, Shakir Hassan Al Said and Dia Azzawi (Iraq), Parviz Tanavoli and Abbas Kiarostami (Iran), Ali Omar Ermes (Libya), Nja Mahdaoui (Tunisia), Ibrahim Salahi (Sudan), Mohamed Melehi, Ahmed Cherkaoui and Jilali Gharbaoui (Morocco), Mahmoud Said, Adam Henein and Gazbia Sirry (Egypt) and now Khaled Hafez. The artists we represent have work in leading international institutions and museums such as the Tate Modern, Tate Britain, V & A, British Museum, Ashmolean Museum, MoMA, Metropolitan Museum of Art, Smithsonian Institute, LACMA, Centre Georges Pompidou, Institut du Monde Arabe, Mathaf: Arab Museum of Modern Art and the Jordan National Gallery of Fine Arts. 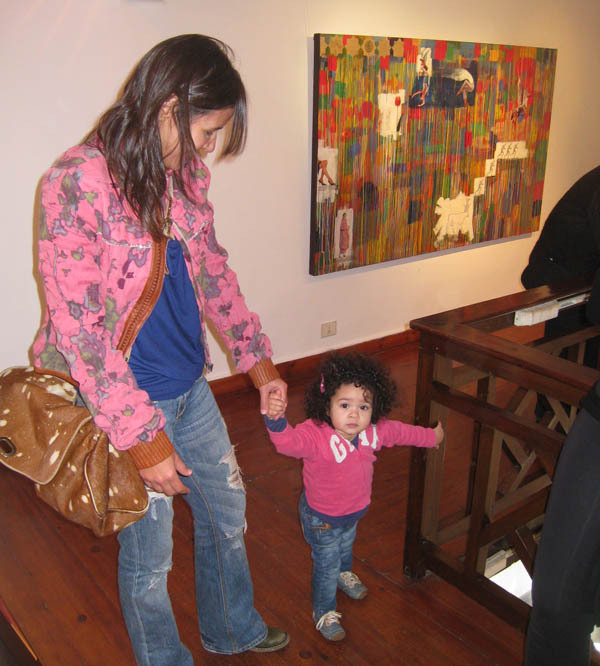 Meem exhibits museum quality work; we select artists who have or are contributing to the art scene long term, artists who produce works that major institutions would have an interest in and who have contributed to the modern and contemporary art scene in their home countries and abroad. Meem displays the work of artists we believe have staying power instead of those that may be popular at a specific point in time. 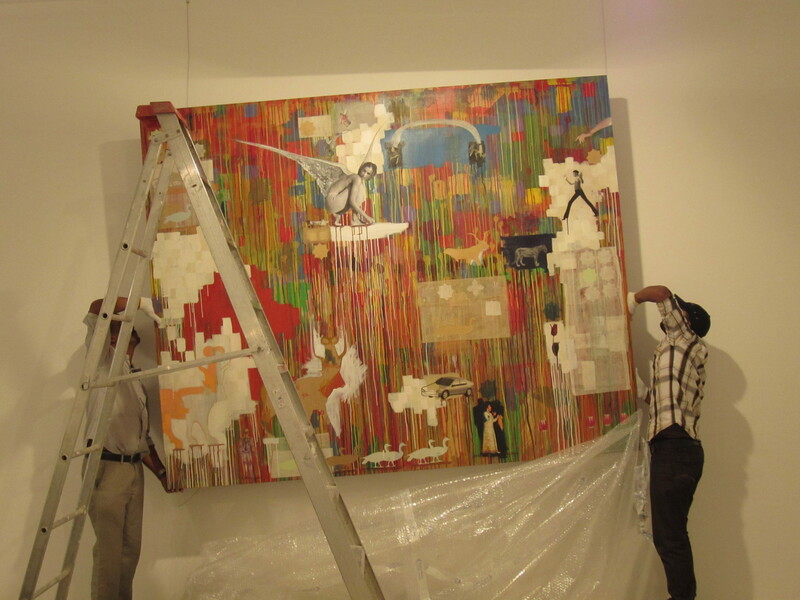 Q: Moving Forward By The Day will be the first solo exhibition at Meem Gallery by an Egyptian painter. Why did you choose this artist in particular? 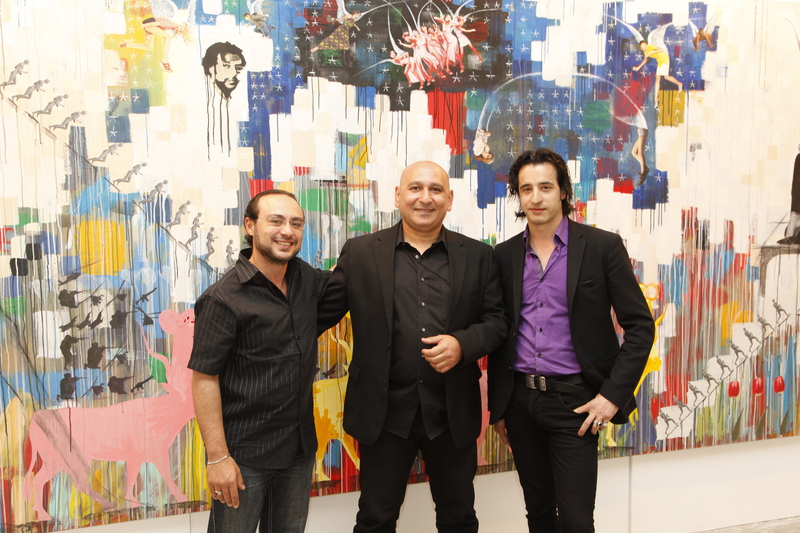 CP: Meem organised a show of Egypt’s greatest living artist, Adam Henein, in Abu Dhabi in 2010. This was a joint show with Parviz Tanavoli. 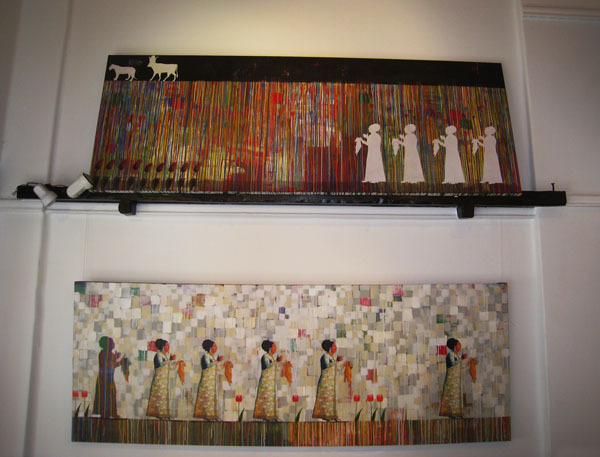 Meem has also exhibited the work of Mahmoud Said and Gazbia Sirry. 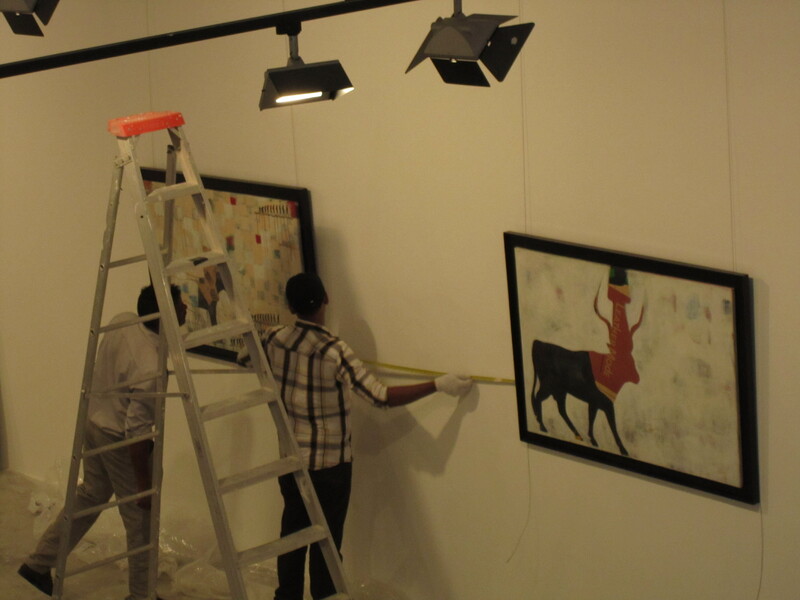 Yes, this is the first solo show Meem has organised of an Egyptian painter. 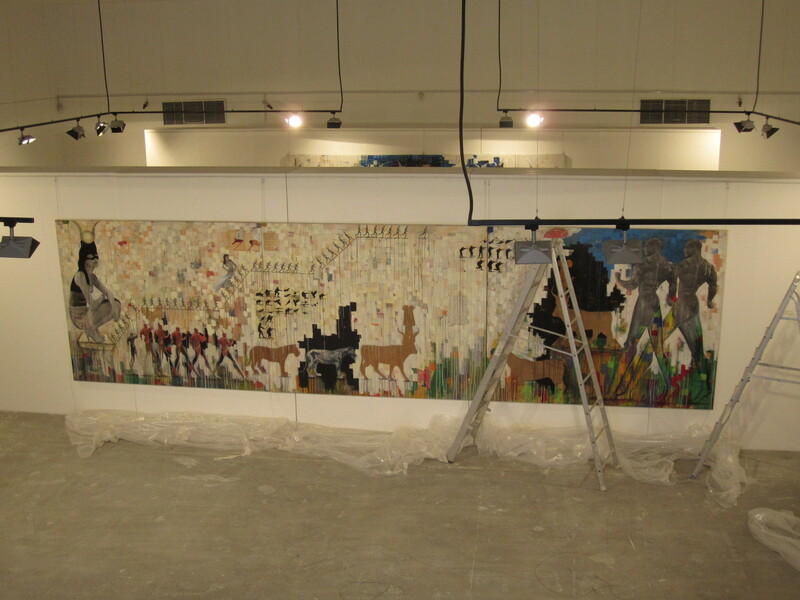 Khaled’s work is powerful, not just because of the scale of his paintings but because of the content as well. He is an artist who really thinks about what he wants to communicate to the viewer. He does this brilliantly by referencing imagery and icons that are recognizable to both local and international audiences, combining the visual culture of his heritage with popular culture. Also compositionally his works are incredibly engaging. Above all, the reason we are exhibiting his work is because I find the work deeply inspiring, in terms of content and the aesthetic quality of each work. Khaled’s works stir a creative emotion in my mind and this experience should be shared with others. Hence we chose Khaled’s work for the March Meem Exhibition. Q: Do you have a favourite work in Moving Forward By The Day and if so, what is its appeal for you? CP: Moving Forward By The Day I. The aesthetics and composition of the work are very strong; the central figure creates an image that displays today’s commercial society but also references the past. 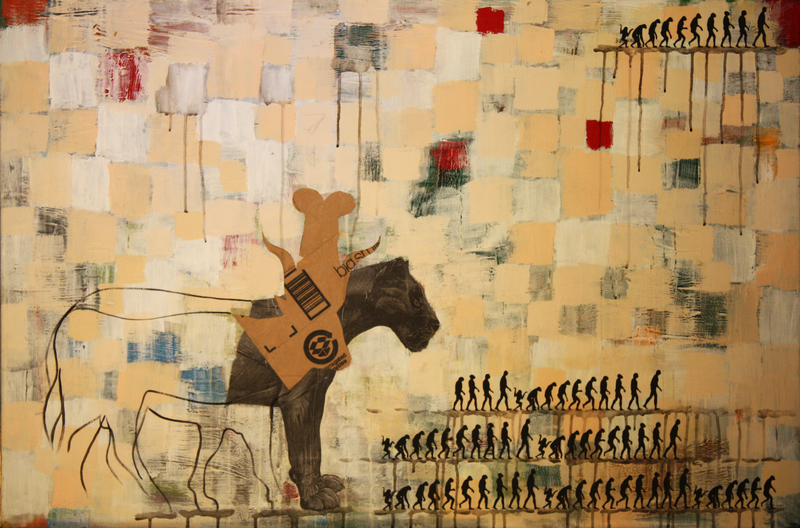 Through this work, Khaled also explores contemporary issues relevant in society today. Moving Forward by the Day I (2.5 x 2m, 2013) is Pocock’s favourite due to its strong aesthetics and composition. CP: Some artists are more political than others and I think that applies to the art world globally. Some express their position on the subject more outwardly, such as Khaled Hafez and Dia Azzawi, while others are more subtle in their approach, like with the work of Mohamed Melehi or Sliman Mansour (from Palestine). Some of the artists we work with approach topical issues by referencing literature and poetry (Ali Omar Ermes) and others are not necessarily as concerned about creating political work as there are a number of subjects that can be relevant to an individual or group. An artist’s work should be thought provoking but should also take the aesthetic quality of what is being expressed into account. It is a balancing act between the ideological and aesthetic. Works that are purely decorative can leave the viewer cold so an underlying message or interesting reference point is essential. The real tragedy is that not enough artists express the feelings and the pain of the society they live in. 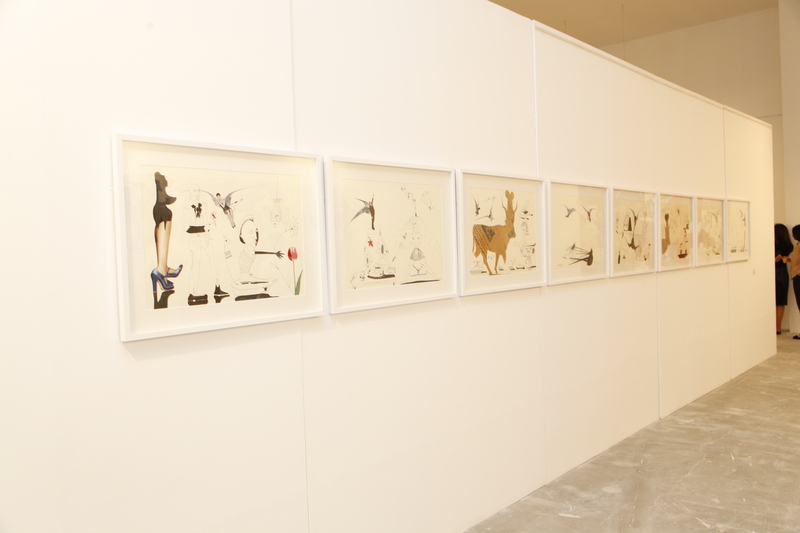 Living in the Arab world today, the issues that are prevalent get limited exposure in the work exhibited at galleries. Self-censorship is everywhere. 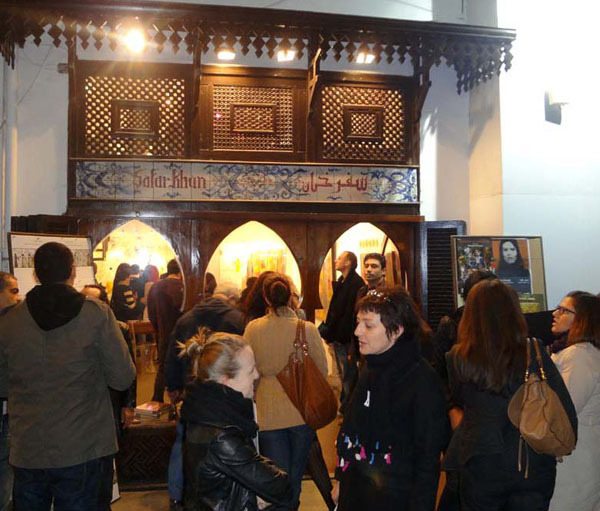 Here in the Arab world, art is, in most cases, commercial, decorative and often kitsch. This is the most obvious here in Dubai where a shopping-mall approach to art and the art displayed is undertaken by a lot of commercial galleries. With limited non-commercial spaces, the opportunity to present such work is limited, particularly in Egypt, Syria, Iraq, Algeria and Tunisia. 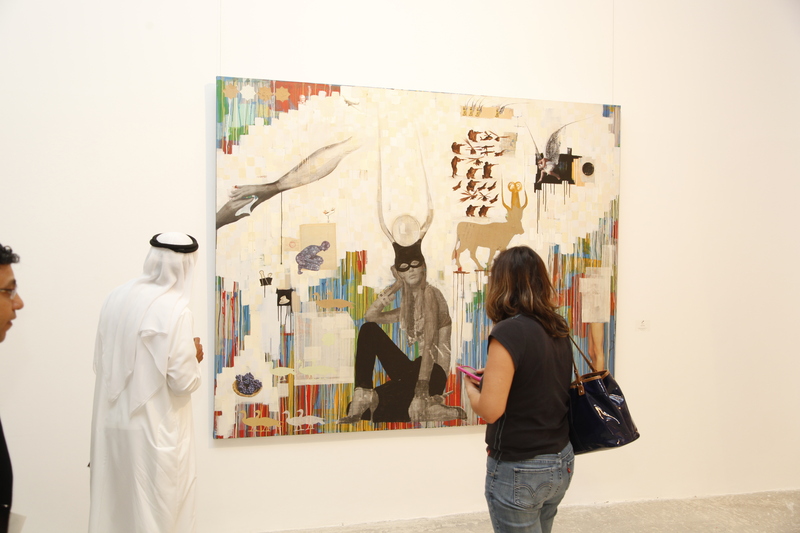 In the GCC at auction, in the galleries and at the fairs, the work presented is ‘safe’ and self-censored. The reality of the situation and of the moment is often ignored. This is a cultural tragedy. For all the talk, there is actually very little done. When one gallery says they work with contemporary art, how contemporary is it really? The audience should be asking how kitschy and commercial it is. Gallerists will respond that controversial work does not sell, however they will not try and will not take one step forward creatively; they would rather take ten steps back. This does not apply to all gallerists but it does to most. We are criticised by many for not being contemporary enough, however our understanding of what is happening is far greater than most people in the field could ever imagine. Q: What other regional art markets are you particularly interested in? CP: In the past year we have focused on exhibiting the work of Arab artists (from Iraq, Palestine, Morocco, Sudan, Egypt); we are very much interested in continuing with this. We focus on the entire Middle East, modern and contemporary. 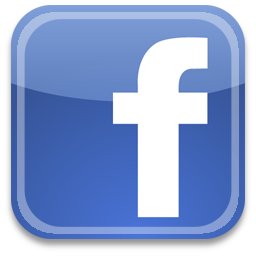 I have personal interest in artists from Japan, Russia, Latin America, India and Pakistan, Central Asia, Europe. My professional interest, however, is in the work from the Middle East only. We also consult clients on ancient Islamic art and advise the Abu Dhabi Festival regarding these fields. The Middle East is our specialisation, we do our best to cover as much ground as possible but of course cannot be aware of everything, however our understanding of the modern, contemporary and ancient is incredibly focused. 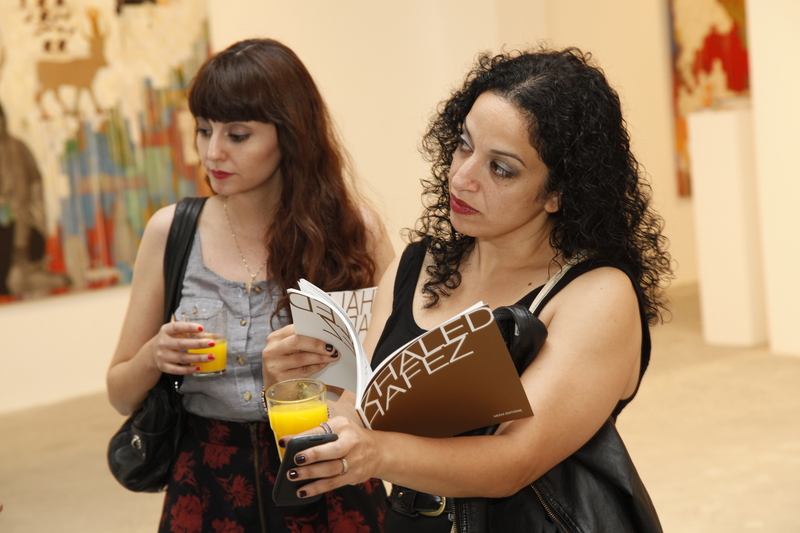 We acknowledge that the work of Khaled draws influence from the ancient art of Egypt and the medieval Islamic of Cairo. Looking at the simplicity of the architectural design of the Ibn Tulun mosque or the grandeur of the Hassan Mosque, who cannot be inspired? The simplicity of the Ibn Tulun mosque’s architecture is so minimalist that it is in a way totally contemporary. Its lines, the way space is used—contemporary. I M Pei also believes this to be the case. Q: The Al Noor Institute of Middle Eastern Art and its library, Al Noor Library, are a unique archive of materials on the regional modern and contemporary art movement. Why did you first embark on this unique project and what types of materials have you collected over the years? CP: The reason I have focused so much on creating the library is because I believe people (the general public and art collectors) need to understand the work they are viewing and its historical relevance. I studied art history at school and at university so for me an appreciation of art is linked to a keen understanding of its history. Additionally, documentation and archiving is essential to the field. That is why Meem is so particular about producing publications. We want a resource to be available in the present and in future, so that people can gain a deeper understanding of the works we exhibit. The library holds a range of material: books, academic journals, periodicals, Phd theses, auction catalogues, exhibition catalogue (many of them rare copies from the 1950s onwards) and an extensive image archive. We also hold recordings of interviews with artists we have worked with. The archive on the subject is the most concise in the region and the most extensive. There is nothing like it in any shape or form. It covers the whole MENA region, contemporary, modern, Islamic and pre-Islamic. We hold close to 20,000 titles with an image archive that is around 40,000 – I think, maybe more, I do not run audits on images! The library is born out of a passion for the art of the region, for the region’s benefit, and for post-graduate research. It is there for all to develop a better understanding of the region’s art history (for both local and international readers). It is there so people can develop a better understanding of an incredible culture, a region that is considered the cradle of civilisation. Q: As an artist, Khaled Hafez is intensely conscious of the impact of history on the identities of citizens in the Arab region. 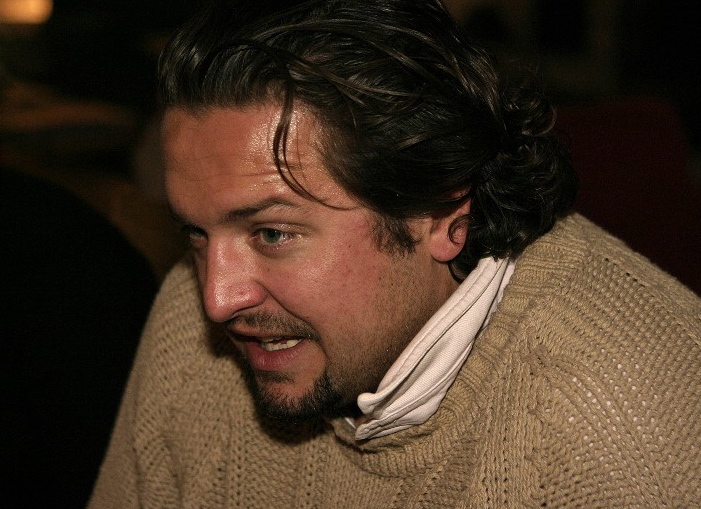 His work is dedicated to recording social and political events that unfold around him – to taking his country’s ‘political pulse.” As a gallery you seem to share this commitment to recording and preserving – why is history so important to understanding where we are today? CP: History is important because we can always find traces of the past in the way we interact and understand ourselves today. Art works reflect that. They present many different referents (both historical and cotemporary) to present one message and visual experience. The reason I feel it is so important to record and preserve what artists have contributed is because the study of art and artists is so important. It provides a window for us to understand another time; it helps us understand society and ultimately our world better. An image alone can be so thought provoking and it is important that we value the message that each art work presents. Through documentation and our publications we also create a space for artists to articulate the ideas behind their work, Meem aims to produce resources that will function as primary resources for researchers. One studies the past to understand the present and plan for the future. My first solo exhibition in the United Arab Emirates, Moving Forward By The Day, opens at Meem Gallery in Dubai on 17 March and continues until 2 May. Tomb Sonata in Three Military Movements I, 7.5 x 2m, 2012 is due to show at “Moving Forward By The Day” at Meem Gallery in Dubai this month. In Moving Forward By the Day I’m revisiting my life-long interest in the complex nature of the Egyptian identity, showing a mix of nine painting works and eight drawings, including some earlier painted works. I created many of these works as an act of protest. Two years on from the revolution, I have abandoned my active role as a citizen and gone back into my studio as a form of defiance. What I am fighting against, what I am resisting in my work, is a public discourse that seeks to unify and impose a single truth or ideology upon the rich and diverse reality of Egyptian identity. My paintings in Moving Forward By The Day return to the iconography I’ve used in my earlier works: fashion models and body builders that I’ve collated from glossy magazines and intertwined with symbols of Ancient Egypt to create hybrid divinities worshipped in our contemporary society obsessed with the body. 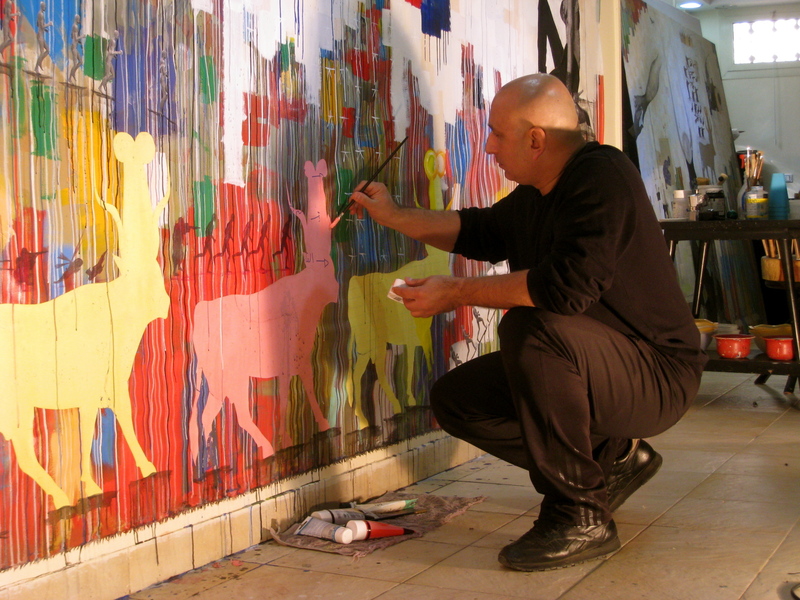 In my work, I adopt the laws of ancient Egyptian painting in these works, using flat, graphic surfaces and kinetic human and animal forms to tell a story. The stories I tell are stories of power, as signified by the idealized forms of body builders and of mythology, what I call humanity’s tendency to seek salvation from overarching powers – whether a Batman, an Anubis, or even a president. The figure of Hathor is transformed from a simple pictogram of the ancient Egyptian cow goddess into a signifier of the material, sensual manifestation of the divine feminine. An indirect reference to Egypt, the cow goddess stands strong on my canvases, embodying a particular space that is bountiful, tolerant and nurturing to those who inhabit it. Around her, figures move across the surface of the canvas in a procession of flight – an escape, migration or forcible change from one identity to another. For decades, I’ve pursued my interest in the complex effects, on citizens, of their turbulent regional context, exploring my ‘Big Mac’ theory across my work. Situated at crossroads of the Mediterranean, Egypt has long been a confluence of African, Middle Eastern, Ancient Egyptian and Arab-Islamic influence. You cannot isolate any single strand, in the same way that the flavour of a Big Mac sandwich is not quite the same without the meat, lettuce or the seasoning. Unlike earlier works, however, I’m tackling the subject of identity with a new intensity, expressed in bright, even fluorescent colour, in the intensity of the brushstrokes and my use of black strokes. Drifting across the surface of my canvases are floating signifiers: composite angels culled from fashion magazines, that appear in the upper most register of the works and denote that which is sacred or divine. I’m invoking the weightlessness that represents our current stage of confusion, or lack of grounding in ideology and faith. It’s a weightlessness of people waiting for someone to come and solve their issues without having to exert any effort themselves. We had a wonderful time last Saturday 6 May at my book-signing to launch Safahat min Muthakirat ‘Atil (Pages from the Diary of an Idler) and ‘Atil bi Rubat ‘Anuq wa Saa’t Sadr Thahabiya (Idler with a Necktie and a Gold Breast Watch) at Diwan Bookstore, Zamalek. Many thanks to my old friend, Egyptian author May Telmissany, who spoke at the signing, and to all the guests who attended. I enjoyed answering your questions and speaking with you about my books! Diwan Bookstore co-founder, Hind Wassif, participates in the Q & A session about the books! Professor May Telmissany reads out excerpts from the book. I’m launching my first works as an author at a book-signing in Diwan Bookstore, Zamalek, tonight: Safahat min Muthakirat ‘Atil (Pages from the Diary of an Idler) and ‘Atil bi Rubat ‘Anuq wa Saa’t Sadr Thahabiya (Idler with a Necktie and a Gold Breast Watch). They’re autobiographical works in which I’ve compiled fragments of prose and line drawings from my private journals that I’ve kept since the mid-1990s, capturing literary “snap-shots” of people and places in my life. As an image-maker, it’s all about freezing a moment in words rather than in a photograph or on canvas. After 25 years as an artist, I felt it was time to share my stories in writing, this new tool of expression. For me, the obsession to write is the same as the obsession to paint. It took many years to decide to publish these highly personal reflections and drawings, created at key “moments of choices” in my life. I wrote the journal that became Safahat min Muthakirat ‘Atil in 1995, the year I decided to leave clinical medicine to pursue a career in the arts. I was at a crossroads, making a series of difficult decisions, and also in a challenging love relationship. Writing was the best therapy, exactly like divulging secrets freely to oneself. My second book, Atil bi Rubat ‘Anuq wa Saa’t Sadr Thahabiya, is taken from my journals of 1998 to 2002, when I was working in marketing and advertising to finance a maturing art practice. In this book, I explore corporate and contemporary culture and also my travels, and the prose has a distinct rhythm: observation, reflection, questioning. The line drawings in both books were always made at the same time as the original prose, sometimes linked, and sometimes entirely separate. I developed the character of the “idler” to narrate both books. He represents a certain part of my mind, the observer and commentator. Through his eyes, we see brief moments in time where there’s always a location, a self and an action. Like a camera moving fluidly between separate rooms, the idler’s perspective links the different scenes. He’s an adventurer at heart, an experimenter in life, audacious in his decisions, sarcastic by nature and ironic in his perceptions. He’s someone who treats every space or location as transient. For me, he represents the vagabondism of the artist, outside society’s norms. I’ve never been an idler, never been doing nothing. But I’ve always been an idler in my mind, with this type of observation and ironic reflection. When finalizing these manuscripts for print, I discovered I have enough material for two more books, also narrated by the idler, and those are my next literary projects this year. 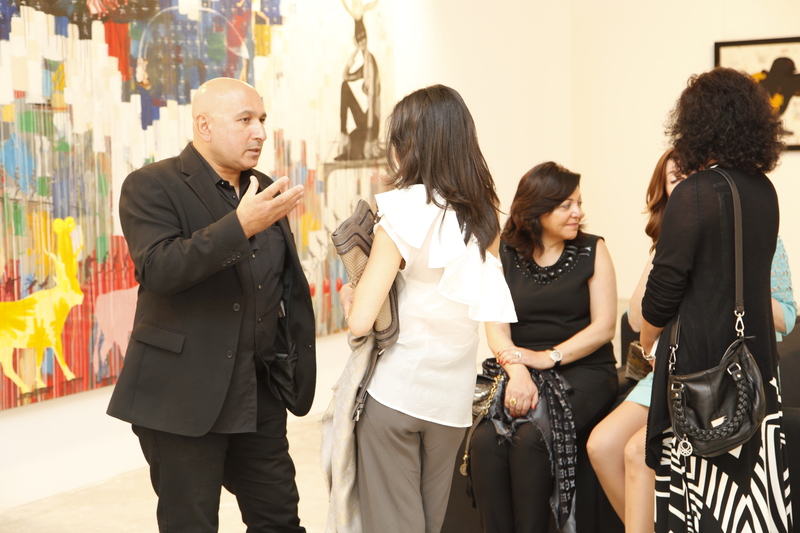 The opening of “On Codes, Symbols and Stockholm Syndrome” at the SafarKhan Gallery in Zamalek, Cairo. Khaled Hafez (born in Cairo, Egypt) studied medicine but abandoned his practice in the early nineties for a career in the arts. He obtained an MFA in new media and digital arts from Transart Institute (New York, USA) and Danube University Krems, Austria. 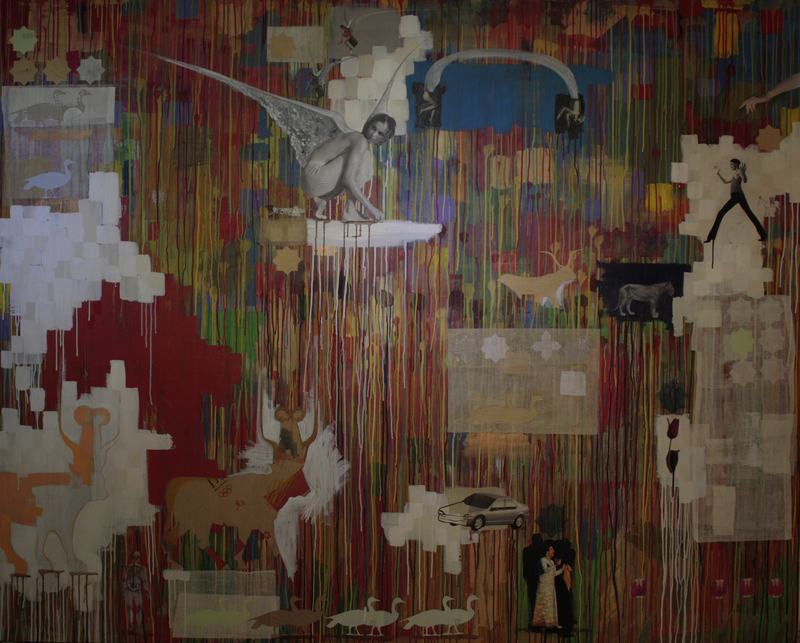 Hafez’s practice spans the mediums of painting, installation, photography and video.